"Rocket leauge + Air Hockey the game"
Hoverloop is an arcade-style arena game, where players control their robots, that look like air hockey goalies, and battle against each other, or AI. As I said gameplay is hard to explain but keep I'm sure the learning curve, with over ten game modes, will level out eventually. 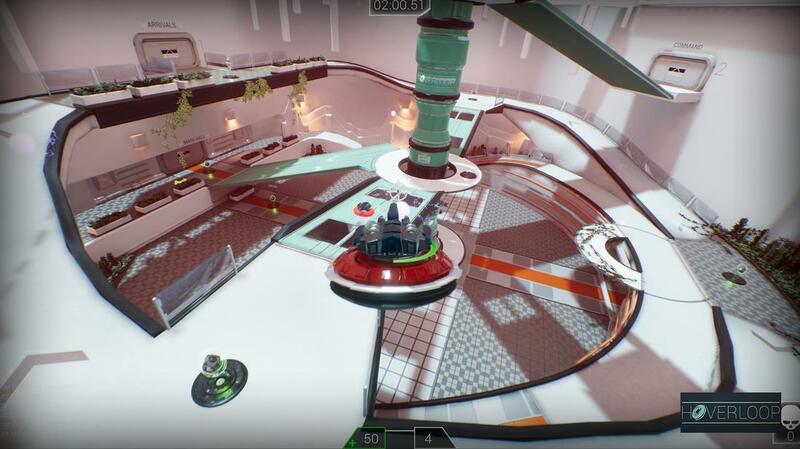 Hoverloop glides it's way to Xbox One in January 2018.